This is the Eagle Tree Systems eLogger V4 with 150 Amp Wire Leads. Whether you’re into Electric Model Planes, Helis, Cars, Boats or other models, you need to know how your electric power system performs under actual operating conditions. The eLogger is the product you need to monitor your LiPo, A123 or any other electric power system. The eLogger system comes with everything you need to log, analyze, and graph; mAH, Current, Wattage, Voltage and throttle position. And, your eLogger is tremendously expandable, by adding additional Eagle Tree sensors. Why should I choose the Eagle Tree eLogger? Some ESC manufacturers are adding data logging to their products. However, these logging capabilities are limited, have very short logging times at high sample rates, and few if any additional sensors are available. While these built-in solutions may "whet your appetite" for data, the eLogger and its incredible array of sensors and powerful software will let you measure virtually anything you will ever need. Also, investing in logging add-ons that are tied to a particular ESC means that the investment is only good as long as you use that ESC. 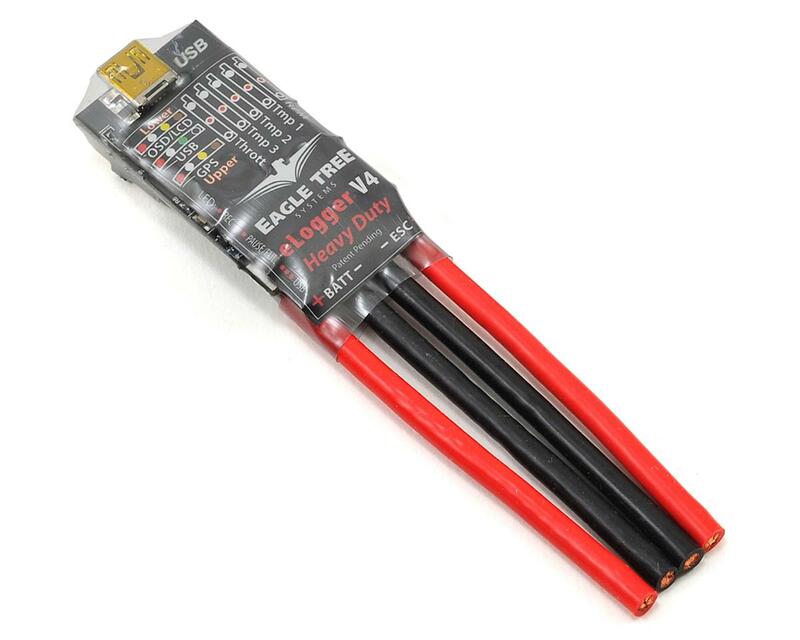 Eagle Tree telemetry is portable across any ESC brand/model. 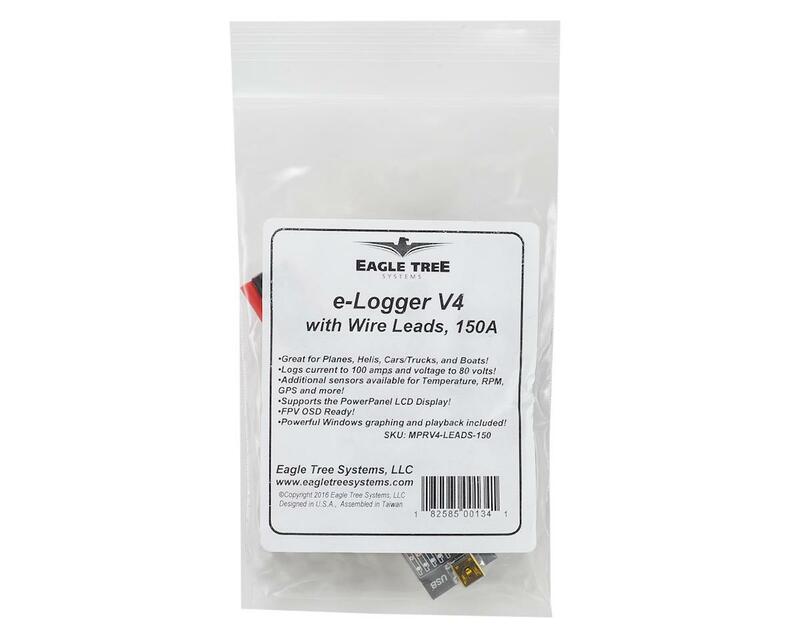 Finally, while the ESC manufacturers and others may lose interest in their logging capabilities if they don't sell well, you can rest assured that Eagle Tree will continue to enhance and expand the eLogger with additional features and sensors. High speed logging at up to 50Hz (increased from 10Hz). Sixteen times the logging capacity of the standard eLogger V3. Typically logs all available sensors for about four hours, at 10Hz. Voltage logging increased to 80 volts maximum. Weighs about approx 31 grams. Internet Updatable firmware - as new features are added, or (heaven forbid) have a firmware bug, the update is just a download away! No need to ship hardware back and forth. Record Time: Varies with sample rate, parameters being recorded, and "activeness" of the model. Anywhere from around 45 minutes to many hours is attainable depending on these settings.